Your dealer for BENDI, DREXEL & LANDOLL! Quality Lift & Equipment	Inc. repairs & maintains all makes and models of forklifts, material	handling and heavy equipment. 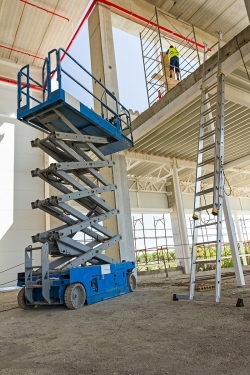 Buying brand-new lift equipment can be expensive and sometimes it isn’t	the right choice for your business. That is why we provide high-quality,	pre-owned lifts and new lifts for all your lift needs. At Quality Lift	& Equipment, our team checks each and every lift to ensure it is in	fully working order and ready for use. We pride ourselves in customer	service and our team is more than happy to walk you through the process	of deciding on what kind of lift is right for you. Contact our team	today at (877) 263-5438 to get more information about our pre-owned lift sales! We maintain and repairs all makes and models of forklifts and material-handling equipment. Looking for new or used quality lift equipment, service, or leasing and rentals. We have you covered! Not sure what type of equipment you need for the job? We’ll make sure you get what you need! Call 24-7, We Always Answer Your Calls! Servicing OC and LA Counties! !